John Therrien wanted to go green. He added solar panels to his Blackstone home about five years ago, but it wasn’t enough for him — he still had to use conventional electricity from National Grid whenever sun power fell short. Then he heard about NRG, an alternative electricity supplier that was able to offer him a sustainably sourced power at a rate he found fair. He made the switch. Therrien was able to make his satisfying switch thanks to the 1998 deregulation of the electricity market in Massachusetts, which opened the doors to power companies that wanted to compete with the utilities. Most electricity consumers have seen the mailers, received the phone calls, or talked to the sales representatives at their doors. They all pitch cheap electricity. But before you get serious about cutting the cord to your existing utility service, get educated — there’s more to it than the promised bottom line. How does competitive supply work? Electric service is made up of two components: delivery and supply. Delivery refers to the physical infrastructure: wires, poles, transformers, and other equipment that brings power into your home. The utility companies — National Grid or Eversource in most of the region — own these systems. The utilities also handle the billing process. Supply is the electricity that flows through this network into your light bulbs and toaster. This power can be purchased from the utility or, in many cases, from one of the 78 competitive supply companies that operate in Massachusetts. The goal of the competitive supply system is to give consumers access to more choices and lower prices. “You don’t have to stay with National Grid or Eversource,” said Matthew Nelson, director of the electric power division of the state Department of Public Utilities. Then your first step is to determine your current power supply situation. If your home is served by a municipal power plant, you will not be able to switch to a competitive supplier. Fifty communities across Massachusetts are served, at least in part, by one of these power facilities. If you’re not getting electricity from a municipal power plant, you’ll next want to figure out what you want from a potential new supplier. They can potentially offer three main benefits: lower prices, more stable prices, and green energy. 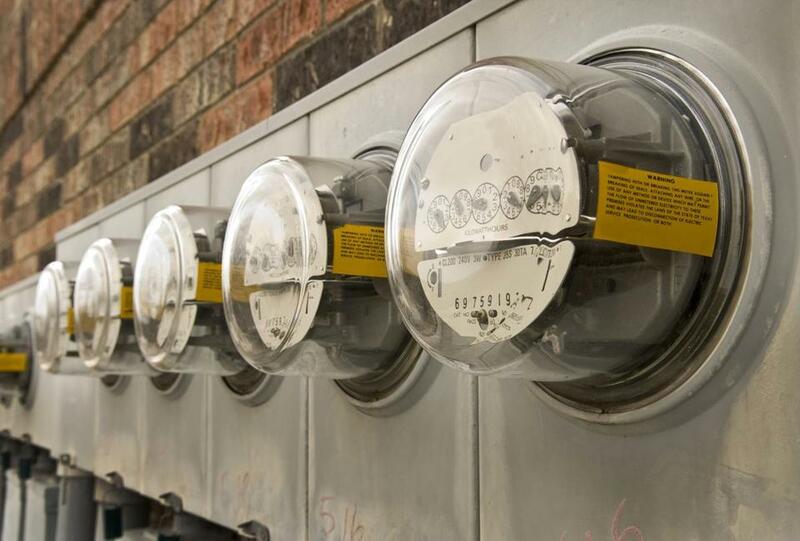 The price a utility charges residential customers is updated every six months. Competitive suppliers, however, regularly offer contracts for 12, 24, or even 36 months, allowing consumers to get a predictable, long-term price. Sounds good, but consumer advocates warn that those apparent savings can easily be undone by hidden fees or expiring teaser rates. And contracts often will automatically renew at a variable — and potentially much higher — rate. “From a financial perspective, consumers usually end up paying more for competitive supply,” said Jenifer Bosco, an attorney with the National Consumer Law Center in Boston. If savings or price stability are your goals, make sure you are ready to keep track of contract terms and, if necessary, switch suppliers or sign a new deal when your contract expires. For environmentally-minded energy consumers, competitive suppliers can also provide a convenient way to use renewable power. Several suppliers offer products that are 100 percent sustainably sourced, though these generally come with a higher price tag. Now that you know what you want, it’s time to figure out where to get it. Those mailings and phone calls from suppliers include offers of fantastic rates and nice perks. But as tempting as they might be, proceed with caution. First, visit energyswitchma.gov, a state website that compares offers from competitive suppliers. A sortable chart shows price, contract terms, renewable energy content, and estimated monthly cost, along with links to each company’s website for further details. The list doesn’t include every supplier, but it’s a useful place to start. In addition to comparing price and renewable energy options, pay attention to the extras some companies offer. One program offered by NRG, for example, gives customers a Nest “smart” thermostat after one month. Another company, Just Energy, lets customers earn points that can be redeemed for gift cards or energy efficient products. As always, though, pay careful attention to the terms of these deals — if you have to be a customer for 12 months before receiving a benefit, but your price is only fixed for six months, a rate increase could erase the value of the perk. Be wary of salespeople who call or show up at your door invoking the name of National Grid or Eversource. Both companies report problems with less reputable competitive suppliers falsely claiming to be offering deep discounts through the utilities. Some even use the relevant logo on their clipboards and paperwork to seem more credible. If a person claiming to be from one of these companies approaches you, always ask for a company ID and, if there’s any doubt at all, call the utility to confirm. Never share personal information with such a person, and don’t sign up for service during one of these initial contacts.